Theodossis Theodossiou and Kristian Berg from the Photochemical internalisation (PCI) group at the Department of Radiation Biology have been funded by the Future and Emerging Technology (FET) program under the Excellent Science section of the Horizon 2020 EU Framework for Research and Innovation. The FET program funded this time 11 projects out of 820 grant applications (1,4 % success rate) and the proposal by Theodossiou and Berg was rated as no. 6. The project receives 3 million Euros together with 3 collaborating academic partners as well as one commercial partner (SME) from UK. The project, named Lumiblast, will be coordinated by Kristian Berg. This is the first time Norway is the coordinator of a FET project. The aim of the project is to develop a specific non-invasive treatment modality based on two tumor targeted compounds (A and B in the illustration) that are alone inactive, but together interact by photon-based energy transfer resulting in excitation of the photon-acceptor compound followed by cytotoxic reactions. The project is designed to develop treatment of aggressive brain tumors such as glioblastoma multiforme (GBM). Brain cancers like GBM are practically incurable due to their location, invasiveness and highly aggressive nature. The use of photon-based treatments of GBM has been clinically evaluated, but with limited success. This is mainly due to the limited propagation of photons in tissues and the efficient spread of tumor cells typically up to at least 2 cm from the resection margin. 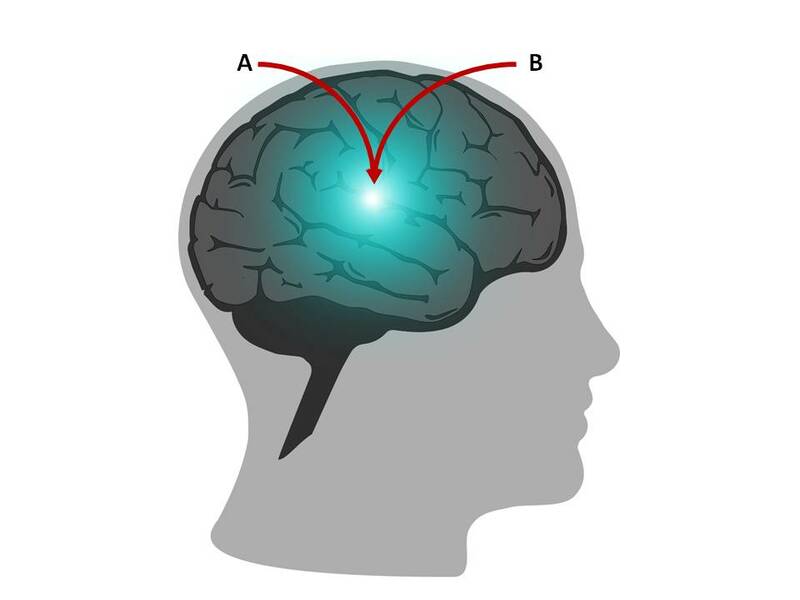 Moreover, the existing photon based treatments are highly invasive and usually require open-cranium surgery, due to the need for external light. In the Lumiblast project the photons are produced inside the tumor cells avoiding the major limitation of using external light sources, to treat solid deep-sited and inaccessible tumors. The principle utilized in Lumiblast may also be relevant for treatment of cancers of other origins.